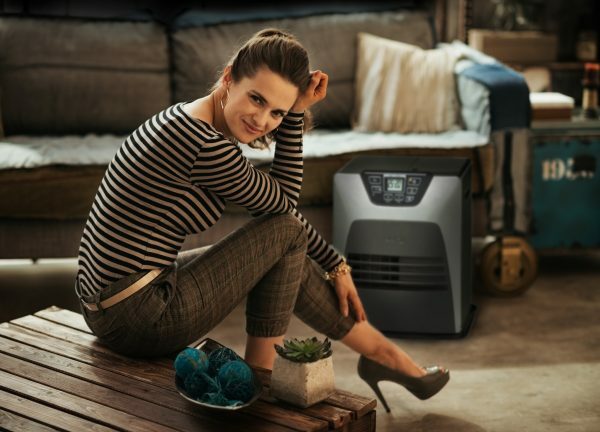 The word electronic refers to the system of regulation of the burning system as opposed to “wick type” heaters whose control system is manual, the laser heaters are provided with a thermostat which electronically controls the heating rate of the appliance. The “laser” burner heaters or in fact our product range starting with the reference LC (laser clean) refers to the nomenclature of burners invented by Toyotomi. The “Laser Clean” burner is designed by the latest technology to attain complete safety and comfort. 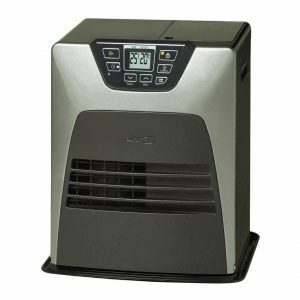 Laser Clean heaters provide clean and economical heat without wick maintenance or replacement. Our Laser Clean burner makes it possible to improve the NOx reduction and at the same time this system is less influenced by the quality of the paraffin which is used. 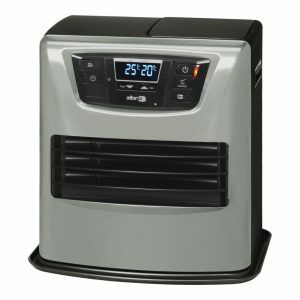 It controls to maintain the desired room temperature and provide safe and comfortable heating. When the temperature is set with the thermostat, the heater automatically selects one of the five burning modes to reach and maintain the required temperature, while at the same time it will manage maximum fuel efficiency. On top there is a built-in intelligent system, so called “Fuzzy Logic”, which uses algorithms to permanently adapt the heating rate to the desired temperature at a set time and the ambient temperature. 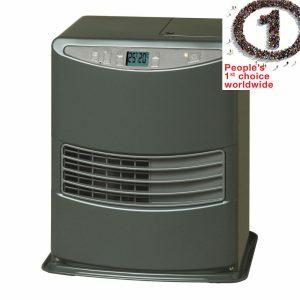 The heater is provided with a self-diagnosis function, when something is wrong with the heater such as an ignition failure or a sudden extinguishing, the LCD panel will display the exact error condition. 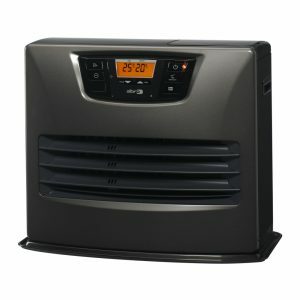 A 24-hour programmable timer makes the heater operate at any desired time and keeps you warm at any time. 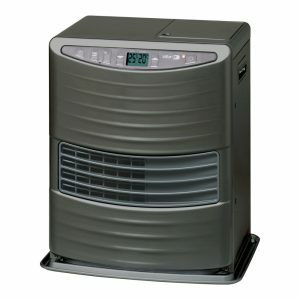 The LC heater’s large circulation fan distributes heat in a silent, quick and even way. A permanent mesh/screen filter protects the circulation fan and the inside components from dust. When the fuel indicator on the LCD panel lights up, there is enough fuel left for another 10 minutes of heater use. The count-down of the remaining heating time can be seen in the information display and every 2 minutes an alarm signal is sounded, warning you to refill the removable tank. 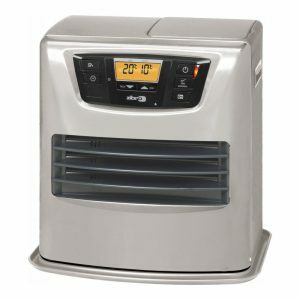 You can also activate the extension mode, in this case the heater will continue to heat at minimum rate and extend the remaining heating time. Tip over switch, when the unit senses an earthquake or shock, the device activates to stop the operation immediately. High Limit switch; in order to prevent burns, the overheat protector automatically stops all operations if the heater reaches abnormal high temperatures due to a burner malfunction. Incomplete combustion preventive device: a combination of flame rod and burner thermistor will permanently control a safe combustion level. In case of incomplete combustion the unit will automatically stop all operations. 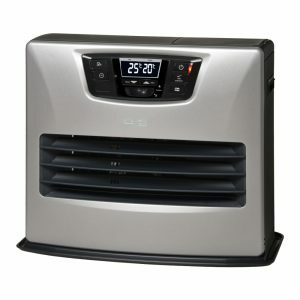 Heaters provided with the French NF quality label also have an additional CO2 sensor. 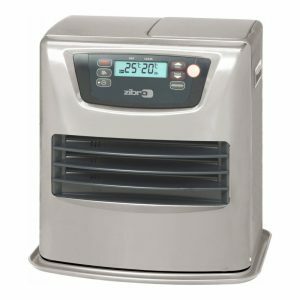 The laser clean heaters features many other convenient features which information you can find when you choose a specific model. You can use the filter first and simply select each different type of Laser heater by capacity, volume or a specific use.